Greetings! If you live, work, or are vacationing this summer in the San Diego area, consider creating stories with pictures at my class, on the beautiful campus of UCSD in La Jolla! 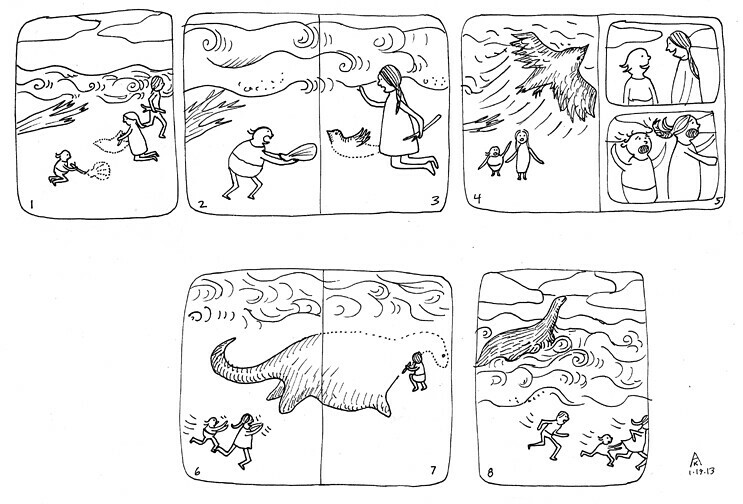 During last winter’s 2013 class at UCSD Extension, I asked my students to locate the CIP book summary from any picture book, and use it as the inspiration for an eight-panel wordless picture story. CIP (“pronounced “sip”) is book publishing jargon for the Library of Congress Publishing Cataloging-in-Publication Data. This is found within the copyright page text of every book. It features a well-constructed one-phrase synopsis of the book’s theme. 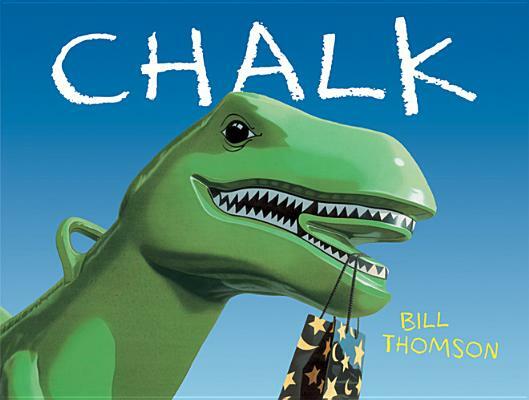 Book Summary: A wordless picture book about three children who go to a park on a rainy day, find some chalk, and draw pictures that come to life. 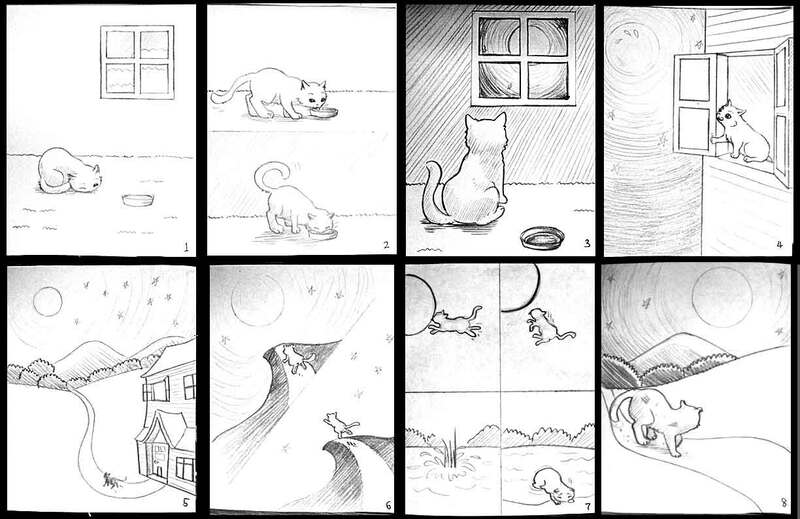 Another student, Fnu Anisi, enchanted by Kevin Henkes‘ Kitten’s First Full Moon, wanted to explore an eight page wordless re-telling. 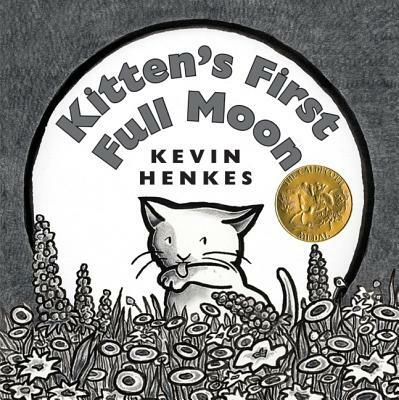 Book summary: When Kitten mistakes the full moon for a bowl of milk, she ends up tired, wet, and hungry trying to reach it. At my upcoming summer 2013 UCSD Extension class (June 26-August 21), Illustrating Books for Children (ART 40011) we might look into creating an advent-styled calendar as a possible inspiration for creating a picture story. 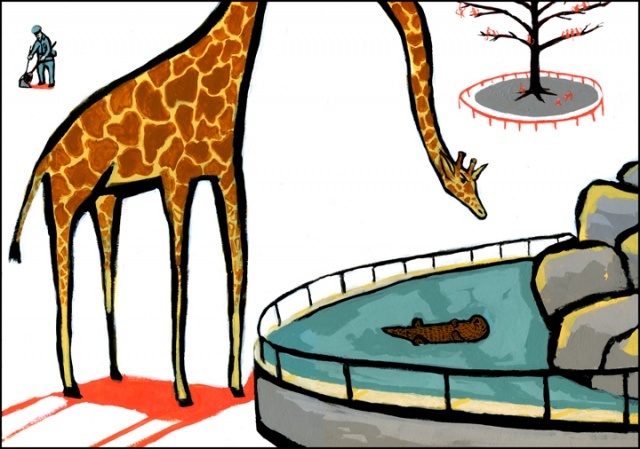 Example: Look at the one Zachariah OHora created from his own story. Fun, yes? Many thanks to Zachariah OHora and Julie Danielson for sharing the above image. 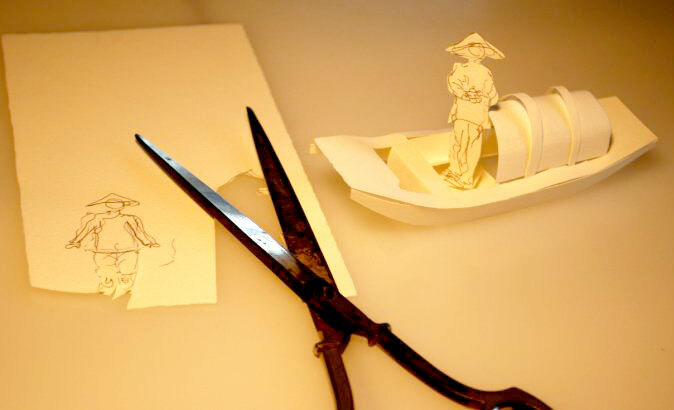 Creating a 3D model for your story setting can also serve as an invaluable reference in plotting out your narrative, as well as a guide in drawing scenes from a variety of perspectives. 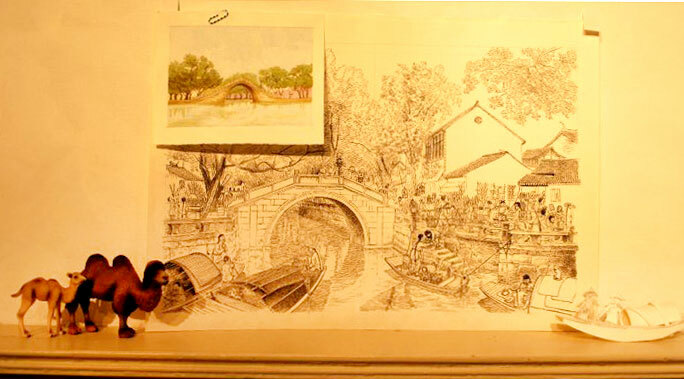 Note how illustrator Sophie Blackall created a diorama for her work-in-progress. She can view her characters from above! 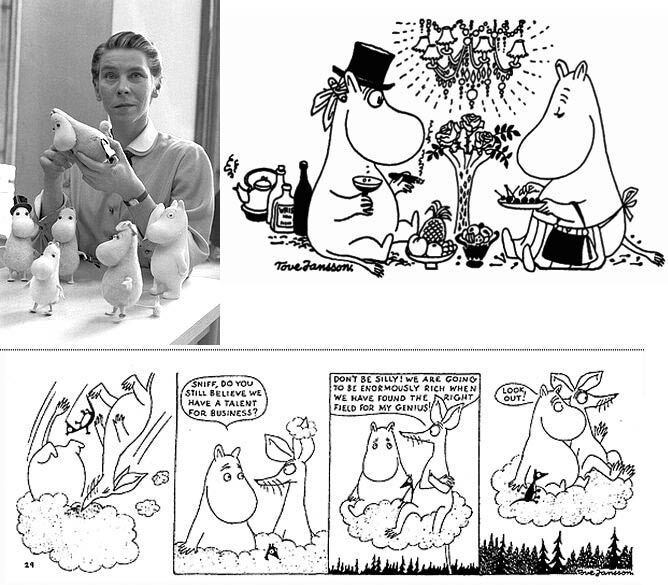 Here’s Tove Jansson, creating reference models for her fabulous Moomin stories. 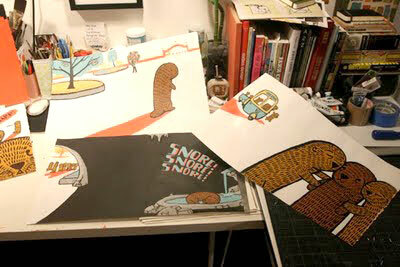 Illustrator Zachariah OHora made his debut as a picture book author with Stop Snoring, Bernard (published by Henry Holt, released April 2011). His work, rendered in acrylic on Stonehenge printing paper, features strong black outlines combined with crisp hues of warm reds, teal, brown, black and ochre. He also provided the hand-lettered type. His work was cited a special Founder’s Award at this year’s Society of Illustrator’s Annual Original Art Show. I was delighted when Zach agreed to visit The Countdown. 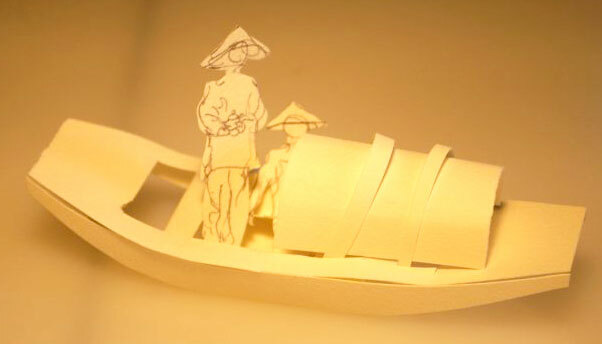 Would you tell us briefly your road to illustration? And to publication? I always wanted to be a children’s book illustrator except for a couple years after high school when I flirted with being a “fine artist,” whatever that means. Illustration appeared to be a more realistic way to get paid to draw, plus I didn’t have any other job skills. The road to publication was a long and circuitous route where I did everything you shouldn’t do, until I learned what I should have done. And I’m still learning. I grew up in Manchester, New Hampshire, a classic depressed milltown in New England. In high school, I became obsessed with The Beats, and in emulation of my hero Jack Kerouac, I hitchhiked across the country and stayed in San Francisco for the next ten years. I love the sound of your name. Very exotic! Would you share its roots? The first part is a result of my parents being pseudo hippies and then going 70’s Jesus movement. As a result, I have four brothers and sisters; all Z’s and somewhat Biblical (Zara, Zelinda, Zephaniah and Zared respectively). My last name is a bastardization of the Irish O’Hara, someone changed it to O’Hora at Ellis island. For years, the apostrophe stumped computers. I never had dinner or car reservations, so I dropped it. Not really exotic….slightly weird though. Did you have to go to school to learn to draw? I always drew, If you were in Mrs. Clements 4th Grade class and you needed a Smurf or a Garfield drawn on your book cover, I was the guy. 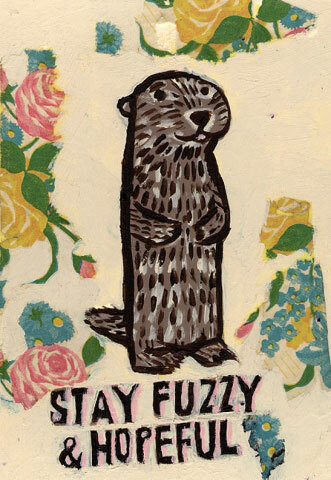 I went to school to learn how to think and I graduated from CCA (California College of Art) with a BFA in Illustration. Who are your favorite illustrators, and who influenced your work? 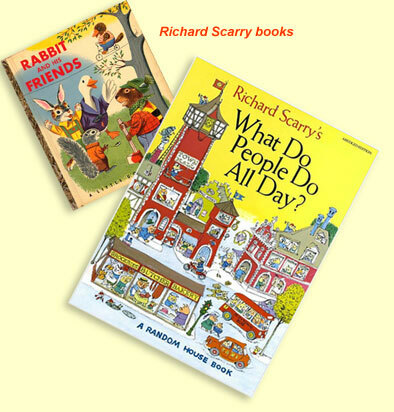 Richard Scarry, Syd Hoff, and Margaret Bloy Graham are childhood favorites. I’m hugely influenced by Ben Shahn and Raymond Savignac, Roger Duvoisin and a lot of non-illustrator artist’s and designers. Current children’s book illustrators who I love are Lane Smith, Marc Boutavaunt, Kevin Waldron, Sean Qualls, Calef Brown and Jon Klassen. This changes constantly, but at the moment; What do People do All Day? 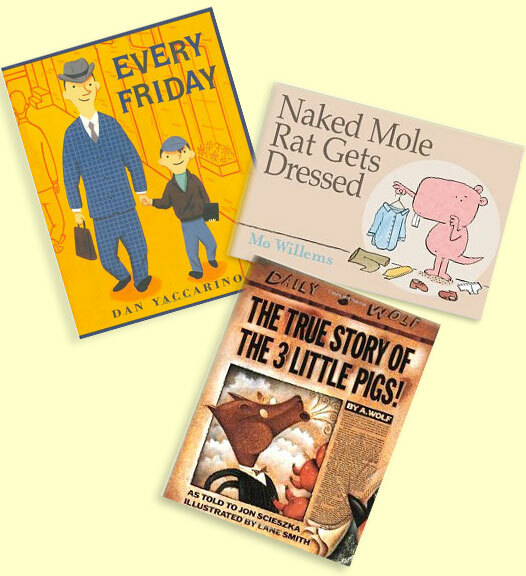 and Rabbit and his Friends by Richard Scarry; Every Friday by Dan Yaccarino; and Naked Mole Rat gets Dressed by Mo Willems. The True Story of the Three Little Pigs by Lane Smith and Jon Scieszka was life altering. What art media do you use to make your pictures? 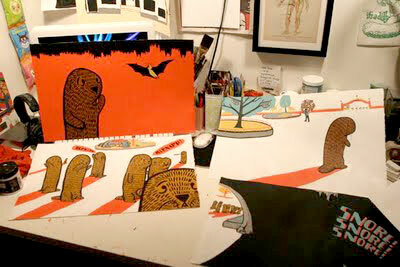 I paint in acrylics, usually on paper or wood with occasional electronic embellishments. Do you have any kids? Pets? I have two sons, Oskar who is 4 and Teddy who just turned 2. I also have a cat named Teddy….don’t ask. Hard to say (See question one above, for other job skills), but it would probably be something quasi-legal that also helped people. Like Fake Passport Maker. I’m scared of birds, like, REALLY scared. I think my fear originated on an ill-fated day at Benson’s animal farm when I was 4 or 5. The sign said something like “Don’t stick ANYTHING into the Ostrich cage!” But I couldn’t read yet. Are you working on any new projects that you can tell us about? I’m working on an Ann Wheeler book that I’m excited about; and a book that I wrote about a gorilla named Nilsson who has huge fits and his best friend, a little girl named Amelia, who patiently helps him to not throw fits. Both will be out early 2013. And I’m playing around with ideas for a follow-up to Bernard, but we’ll have to see. Would you point us to your web site and/or your blog? 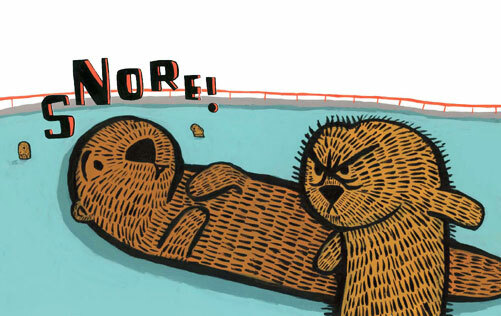 I have a blog for all things Stop Snoring, Bernard! related at stopsnoringbernard.com. Please come by and follow if you like! The Original Art: Celebrating the Fine Art of Children’s Book Illustration, is on display at the Museum of American Illustration, at the Society of Illustrators, from October 26 through December 29, 2011. Medal winners are listed here. 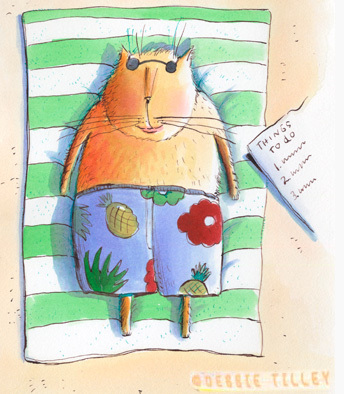 Click here for the complete list of illustrators whose works were selected for this year’s show. This October will mark the 31st year anniversary of the annual show, Original Art: Celebrating the Fine Art of Children’s Book Illustration. Founded by artist-agent Dilys Evans, this coveted exhibition showcases the best illustration produced from books carrying a 2011 publication date. Selections were culled from 150 children’s books, which in turn were picked from 590 entries submitted nationwide. 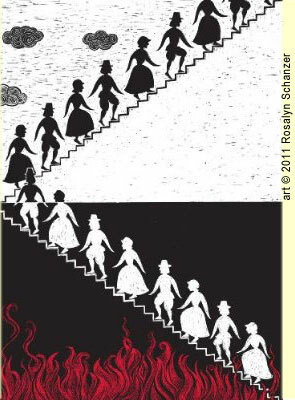 The works will be on display at the Museum of American Illustration at the Society of Illustrators (128 East 63rd Street, New York, NY 10065), from October 26 through December 29, 2011. Juried by illustrators, art directors, and editors, they also choose the winners of two Silver Medals and one Gold Medal. This year’s Gold Medal winner is Rosalyn Shanzer for Witches! 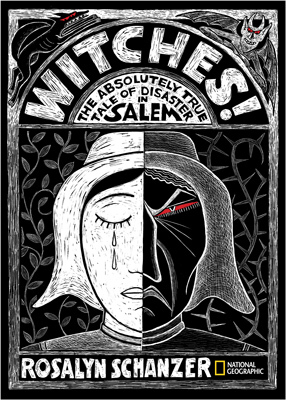 The Absolutely True Tale of Disaster in Salem, (above left; National Geographic Society; publication date August 2011). 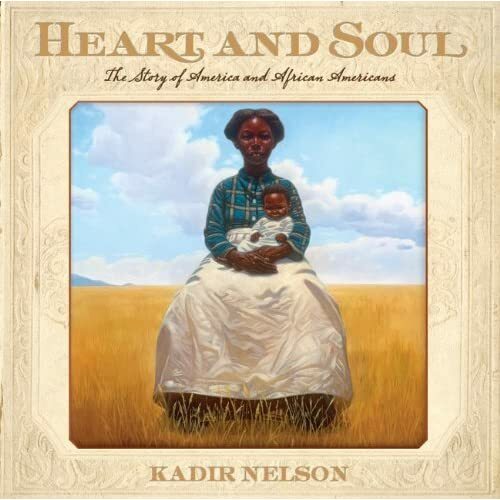 The Silver Medal winners are Kadir Nelson for Heart and Soul: The Story of America and African Americans (left; HarperCollinsPublishers / Balzer and Bray; and Lane Smith for Grandpa Green (below; Roaring Brook Press). A special Founder’s Award went to Stop Snoring, Bernard! 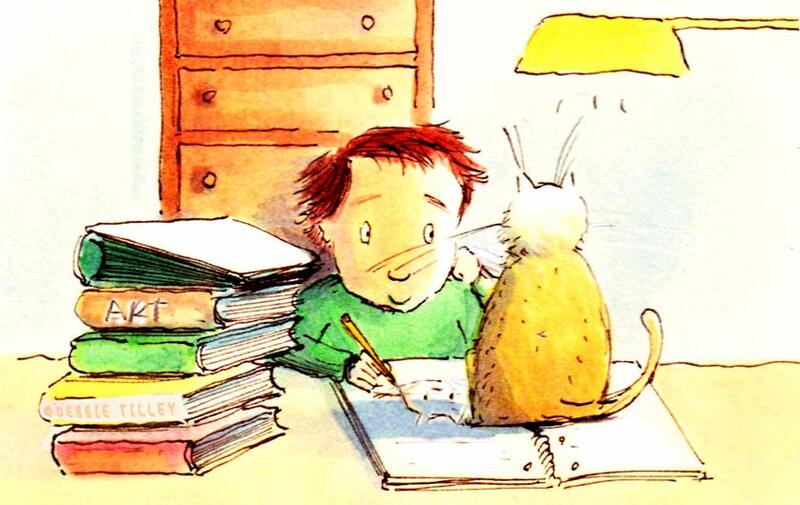 by Zachariah Ohora (below; Henry Holt and Company Books for Young Readers). This prestigious show is open free to the public to demonstrate the importance of books for children and the enormous range of creativity they represent. It’s a fabulous opportunity for students, artists, and industry professionals to experience the original art itself. And each work is archived permanently via the Society of Illustrators Annual. View the complete list of artists and works here.